Raytheon is a technology and innovation leader specializing in defense, homeland security and other government markets throughout the world. With a history of innovation spanning 90 years, Raytheon provides state-of-the-art electronics, mission systems integration, communications and intelligence systems, as well as a broad range of mission support services. Raytheon occupies several campuses of buildings. When Raytheon decided to upgrade its Presidential Way site in Woburn, MA, the focus was on optimizing energy usage throughout the over 460,000 square foot campus. While a reduction of annual energy costs and a measurable return on investment were important goals of the project, Raytheon also wanted to provide optimal employee comfort throughout the changing seasons. Because of the many unique needs specific to the defense and aerospace industry, BCM was enlisted to provide an innovative solution to meet these ambitious expectations. • Aggressive system scheduling revisions. Through the solutions implemented by BCM, Raytheon was able to reduce the HVAC energy bill by nearly half while realizing a ROI in less than 18 months. As a result of the Presidential Way success, Raytheon asked BCM to evaluate their largest US manufacturing facility in Andover, Massachusetts. This facility has over 1,000,000 square ft. of office and manufacturing space. Although the building automation infrastructure is Johnson Controls, BCM was selected to be the controls service provider. BCM personnel are on site every week to assist Raytheon facility personnel with system upgrades, additions, troubleshooting, engineering and training. In addition, BCM has teamed with the Raytheon Energy Division to propose significant energy conservation measures for future implementation. 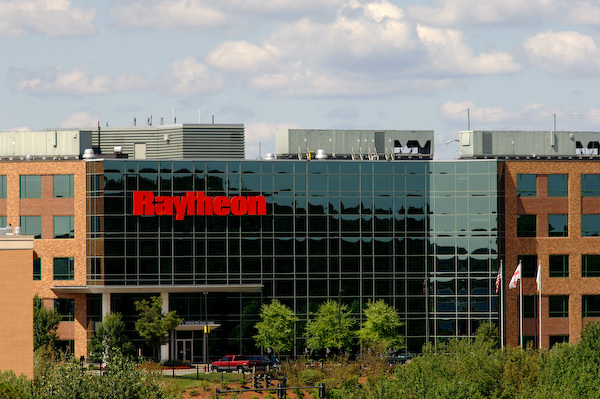 BCM expanded its relationship with Raytheon with the installation of an integrated HVAC, card access, security and elevator control system at Raytheon BBN Technologies (BBNT), a 3-building campus in Cambridge Massachusetts. Two workstations with over 1000 points of customized campus data allow BBNT personnel to manage their operational and energy needs efficiently and effectively. BCM is proud of our continued relationship with Raytheon and our contributions to their pursuit of energy efficiency across their campuses.